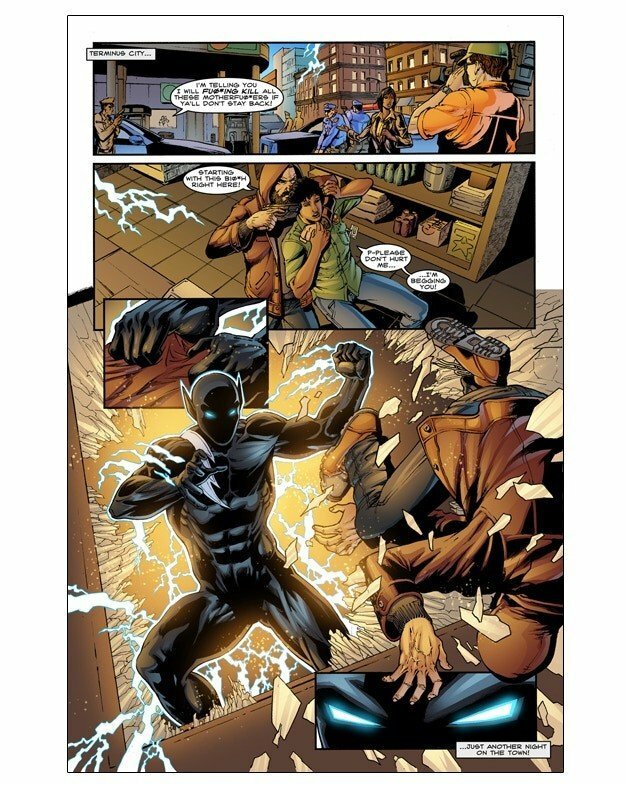 Editorial note: In full discretion, William Satterwhite, the creator of Stealth, and co-writer of today’s reviewed comic is a contributing writer for BlackSci-Fi.com. Black folk have a complicated history with police in American society, and none more so than recently with high profile deaths of black men and women in cities over the course of the last five years. Trayvon Martin, Tamir Rice, Sandra Bland, Philando Castile, Freddie Gray, and many others have spawned many a movement and protest, including the rise of Black Lives Matter movement and the kneeling for the national anthem started by Colin Kaepernick. The police are the law enforcing presence in our communities, overarching in their power and ability to influence our lives. When this power is abused, black and brown hued individuals are the ones whose bodies are sacrificed in the aftermath. Where are the heroes that will protect us when those ordained to do that job become the oppressors? It is in this backdrop that William Satterwhite inserts his vigilante hero Stealth, and frankly, our hero may not hold the answer to that question. 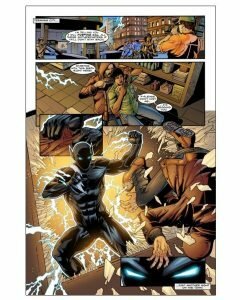 Stealth #1 begins the issue with the titular hero beating up the bad guy all while rehashing a backstory that gives some insight into how Allen White became the vigilante known as Stealth. There is a lot to unpack in the first few pages, and the multiple panels, interspersed live dialogue, and sporadic self-reflecting captions make this a bit of a confusing read, as the reader is introduced to different characters relatively quickly without an initial clear context. However, once the story settles in, the narrative flows out from the rushed backstories and into the present, where the police of Terminus City are found to be racially profiling their residents. It is here where the story truly shines, as subtlety is nowhere to be found in the themes Satterwhite and McAdoo hammer home through these panels. Stealth is left to find the balance of protecting the city he loves without compromising the rule of law. Questions of vigilantism and duty are explored in depth here, and the philosophical divide the reader is taken on is one that is full of intrigue to go along with immense action. For those familiar with the history of Stealth, his new, harder edge artistic look may come as a bit of a shock. Gone is the cartoonish look of the young Allen White of the earlier webcomic series. Instead, the aesthetic immediately and boldly declares that this is a new direction for the series, with bold colors and dynamic action scenes interspersed throughout. One can appreciate how hard it is to add detail to a character whose costume is completely black. The background work and the facial detail of the other cast members stand in stark contrast to the blank face of Stealth. However, the constant use of lightning effects to exhibit speed felt a bit overused. Close-up panels and detailed fighting moments could have served where wide shots with lots of lightning and flying antagonists were used instead. The visuals really shine through here for the dialogue moments, and the same detailed interactions could have served the fighting action moments as well. The mature storyline, the philosophical questions, the bold visuals, and the interesting twists will keep readers engaged and yearning for a second issue. Stealth #1 is a great nod to the history that William Satterwhite began long ago while also updating the hero by bringing him into our current political climate. Stealth #1 is available to purchase now at Short Fuse Media Group. You can also find the Stealth web comic here.